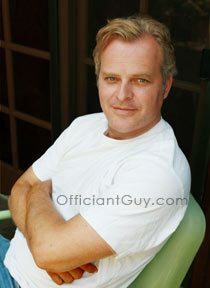 Officiant Guy > Wedding Locations > Beverly Hills Wedding Venues > Franklin Canyon Park | Officiant L.A. I have been a wedding minister in Los Angeles County for many years, and I have officiated weddings of all kinds, including civil weddings and religious weddings, all over Los Angeles County and Orange County in many Beverly Hills Wedding Locations. Some of those weddings have been at Franklin Canyon Park, a wonderful Southern California wedding venue that you might consider for your wedding. 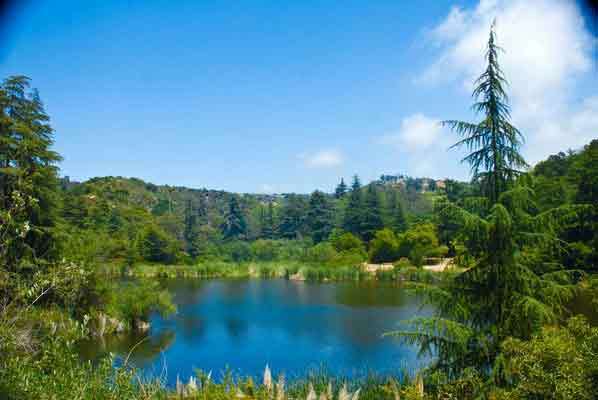 If you are looking for a quiet hideaway in the center of the city’s hustle and bustle, Franklin Canyon Park is the place to go. For an indoor wedding reception or marriage ceremony, they offer an Auditorium opening to a courtyard with a beautiful view. If it’s a “back-to-nature” outdoor wedding garden area you’re seeking there are numerous outdoor facilities including lakeside picnic areas, open amphitheaters, and large lawns with towering oaks for a romantic wedding theme. Cut & paste this URL into your web browser http://www.lamountains.com/planning_franklin.html to find out more information about the Franklin Canyon Park. Finding the best officiant in L.A. may not be easy. Consider the best officiant who is referred constantly by couples all over Los Angeles.